The long days of Summer are here! I just love all the sunshine and the super long days. With more sunlight comes more sun exposure. Keep your little ones protected from head-to-toe with the new Aveeno® Baby Continuous Protection® Sensitive Skin Zinc Oxide Sunscreen SPF 50. 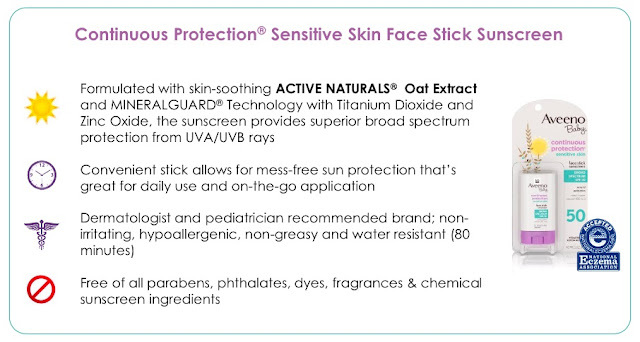 Formulated with naturally sourced 100% Zinc Oxide and Active Naturals® Oat, it combines superior broad spectrum UVA/UVB sun protection with skin soothing benefits. I am super selective when it comes to sunscreen protection for my kids. My 3-year old son has eczema. So, I almost exclusively use the Aveeno Baby and Aveeno Baby Eczema lines with him. I know that if I stick with Aveeno, his eczema flare-ups are minimal and manageable. One of the biggest culprets for him (I learned the hard way) is sunscreen. I need to stick to natural sunscreens with active ingredients like zinc and formulas that are super gentle and fragrance-free on him. 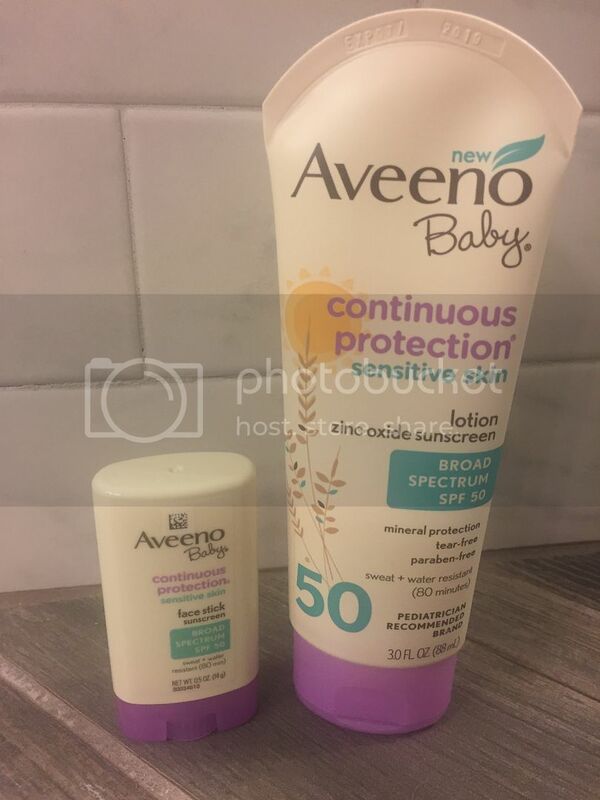 So, I am super excited about these new Aveeno Baby Zinc Oxide Sunscreens! My son (and daughter, too!) can use these with no problems and no sensitivity reactions nor eczema flare-ups! The sunscreens contain the highest level* of zinc oxide for superior UVA/UVB protection for babies with sensitive skin. 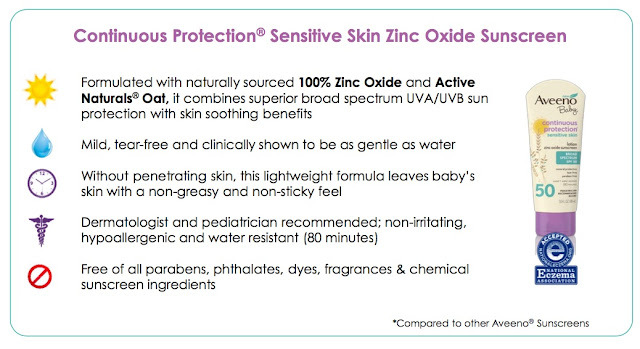 Formulated with Active Naturals® Oat to help lock in moisture and soothe babies’ delicate skin, while 100% Zinc Oxide provides photo-stable, broad spectrum coverage to protect from the sun. The formula contains 100% naturally-sourced sunscreen ingredients to deliver exceptional broad spectrum sun protection in a formula mild enough for everyday use. Formulated with Active Naturals® Oat Extract, the sunscreen locks in moisture and soothe babies’ delicate skin, while MINERALGUARD®Technology helps provide superior broad spectrum protection from UVA/UVB rays. 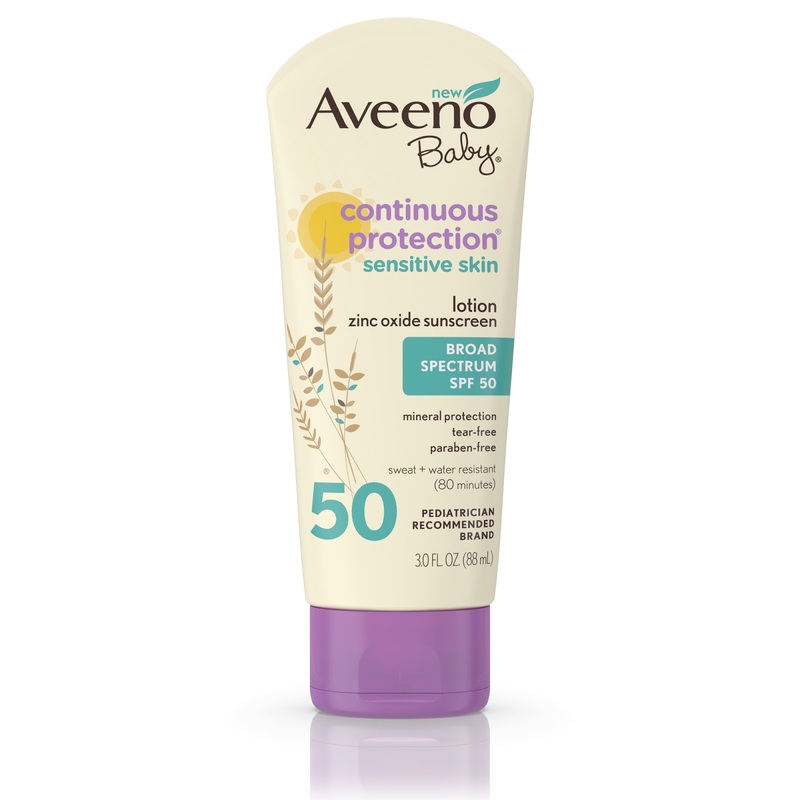 If you are looking for some great gentle sunscreen options for your baby, toddler, preschooler, or older child, look no further than Aveeno! 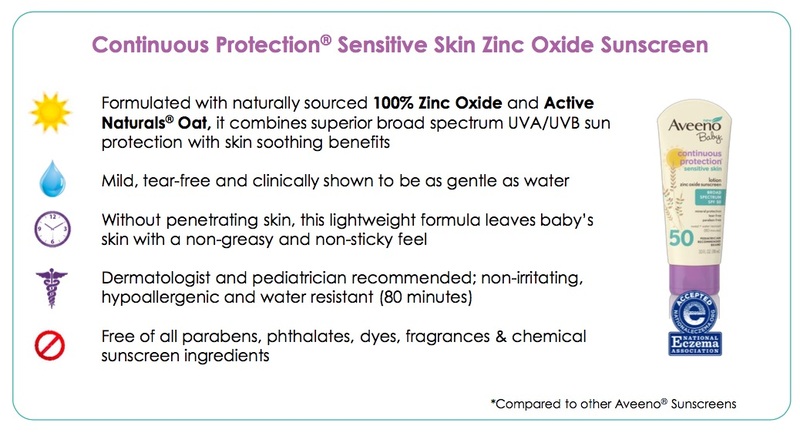 There great options available like these new Baby Zinc Oxide sunscreens! Grownups need sun protection, too! Remember, it is not just your kids that need the extra sun protection. 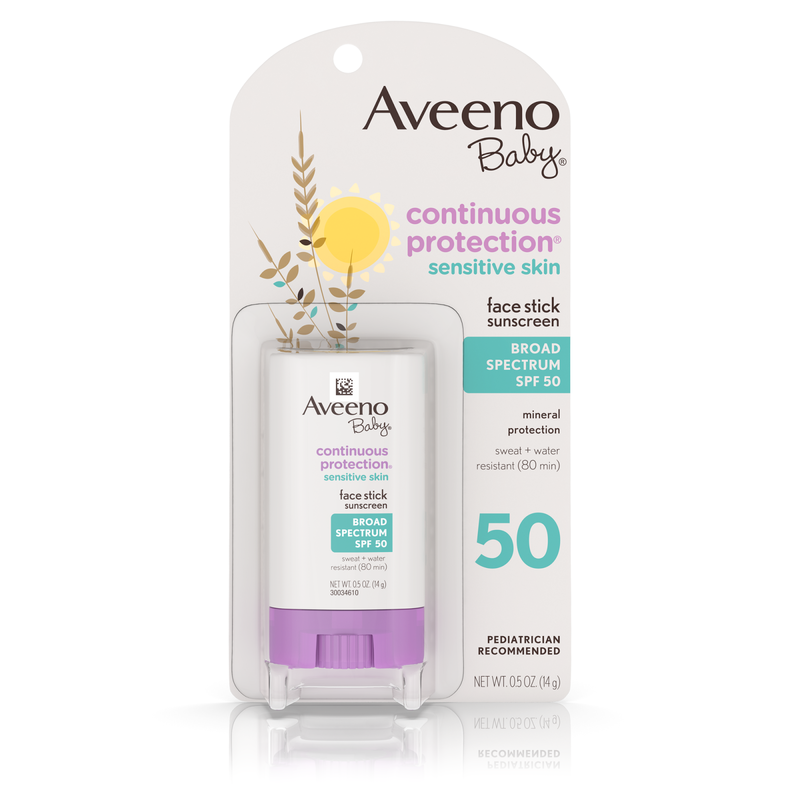 Don’t forget to keep your skin protected as well this summer with Aveeno Protect + Hydrate® Lotion Sunscreen in SPF 30/50/70! I love the super light feel of this lotion and always keep one in my handbag.